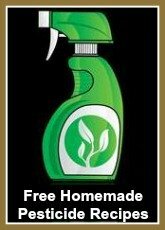 Just Like the one Grandma Used to Make! 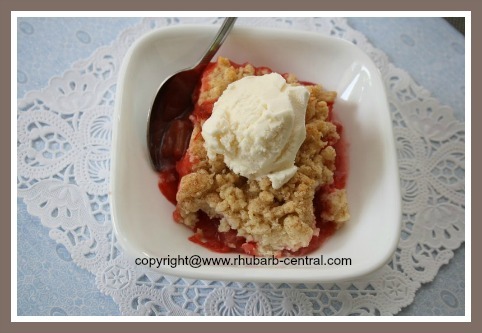 A friend shared this Easy Caramel Rhubarb Cobbler Recipe with me. This old-fashioned rhubarb dessert may just become your family favourite ... just like Grandmas recipe! This cobbler is baked in a 2 quart baking dish, or an 8" square baking pan. 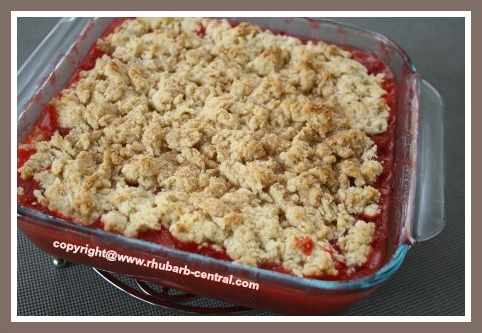 If you have ramekin bowls, this rhubarb cobbler recipe would be perfect to make individual servings. This cobbler recipe can be made using fresh OR frozen rhubarb. 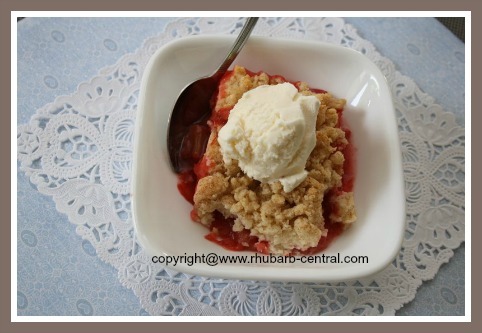 Rhubarb Caramel Cobbler Recipe just like Grandmas! Serve this cobbler warm with a dollop of ice cream, whipped cream or Greek yogurt, or serve when cooled ... Oh, and don't count on any leftovers! 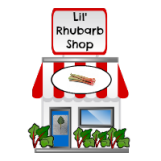 Note - You can use fresh or frozen chopped rhubarb for this recipe. 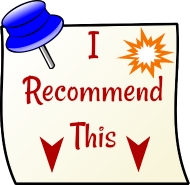 If you are using frozen rhubarb, thaw the rhubarb in a sieve over a bowl, and discard the excess liquid AND increase the cornstarch amount to 5 1/2 tbsp. In a pan, over medium-low heat melt 3 tbsp. butter (or margarine). Add the brown sugar, 1/4 cup of granulated sugar, and the cornstarch, and stir until combined. Stir often to avoid sticking and burning. Gradually stir in the water and then add the rhubarb, bringing the mixture to a boil over medium-high heat. Cook the mixture until the rhubarb is tender, and the mixture is thickened. About 6 - 8 minutes. Continue to stir to avoid sticking and burning. Add a few drops of red food colouring if desired. Or add a tiny bit of food colouring used for colouring cake frosting/icing. 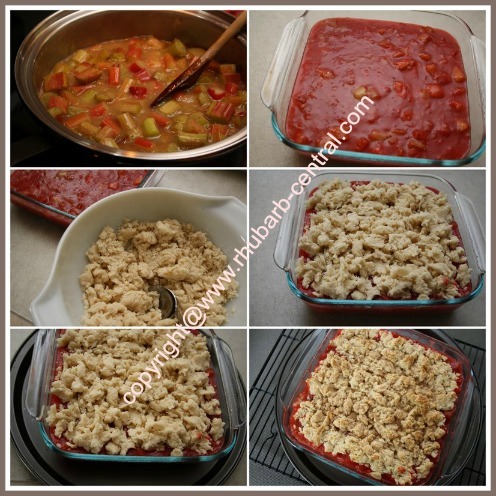 Pour the thickened rhubarb mixture into a greased 2-quart (8" x 8") baking dish and set aside. In a bowl, combine the flour, baking powder, salt and the remaining 1/4 cup granulated sugar. Melt the remaining 4 tbsp. of butter (or margarine), and stir into the dry ingredients with the milk, until well combined. Drop the flour mixture onto the rhubarb mixture in the pan by the spoonful. Bake at 350° F for about 35 - 40 minutes, or until the rhubarb is bubbly and the topping is golden brown. Remove the Caramel Rhubarb Cobbler from the oven, and sprinkle the top with a mixture of cinnamon and sugar. Best served warm with a dollop of whipped cream, ice cream or Greek yogurt.